AAN press release | MINNEAPOLIS – A drug used to treat multiple sclerosis (MS), alemtuzumab, was found to reverse some of the physical disability caused by the disease, according to new research published in the October 12, 2016, online issue of Neurology®, a medical journal of the American Academy of Neurology. Because it can cause serious side effects, alemtuzumab is generally used in people who have not responded well to other MS drugs; however, in this study it was used relatively early in the course of MS. The drug is used in relapsing-remitting MS, the most common form of the disease, in which symptoms alternate between sudden worsening and remission. said study author Gavin Giovannoni, MD, PhD, of Queen Mary University of London, United Kingdom. For the study, people with relapsing-remitting MS who did not respond well to at least one other MS drug were treated either with alemtuzumab (426 people) or the drug interferon beta-1a (202 people). Researchers assessed the participants’ level of disability at the beginning of the study and again every three months for two years. 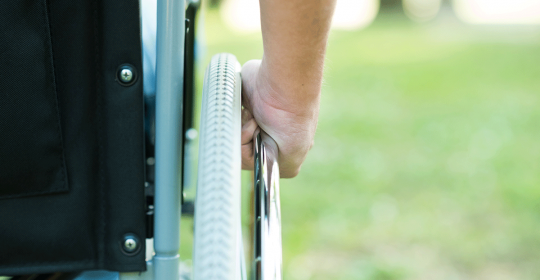 By the end of the study, nearly 28 percent of those receiving alemtuzumab had improved by at least one point on a disability test, with scores ranging from zero to 10, compared to 15 percent of those receiving interferon. People receiving alemtuzumab were 2.5 times more likely to improve on the assessment of thinking skills than those receiving interferon, and were more than twice as likely to improve on the ability to move without tremor or clumsy movements known as ataxia. The researchers adjusted the results to make sure the improvements were not driven by people recovering from recent relapses. Giovannoni noted that the benefits of alemtuzumab, if confirmed, need to be considered along with its risks, which include the risk of serious and rarely fatal autoimmune problems as well as infusion reactions.